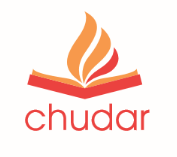 Chudar is a new initiative to improve the quality of education for elementary and high-school children from underprivileged backgrounds. Our goal is to ensure that every child passes out of high-school with the requisite knowledge, skills and confidence to face the future, both in school and beyond. Chudar is a Tamil word which denotes the sparkle or brilliance from a flame, and we hope our effort will enable each child to shine in their own way. Several studies show that most kids are enrolled in school, but learn very little. The ASER survey points out that of all children in the age-group 6-14, more than 99% are enrolled, but the majority lag behind in educational outcomes. This problem persists from primary all the way to high school and the National Achievement survey by NCERT has also showed that Std.10 children have very low competencies in Mathematics, English and Science. The problem affects children from disadvantaged sections, who are often first-generation learners. In each slum area, our centres have 3 local tutors taking classes and reaching 50 children. The focus will be on children from classes 3-8 (though a few children from other classes will also be there). We will be developing our unique content and methodology which will both be synchronised to the state board curriculum and at the same time help in learning concepts and skills. Our focus subjects will be Maths, Science and English – the subjects that most students find difficult in middle and high-schools.